If you were to ask someone in Scotland to name a fishing town, chances are they would say Peterhead. But what if you asked the same question in 400 years’ time? 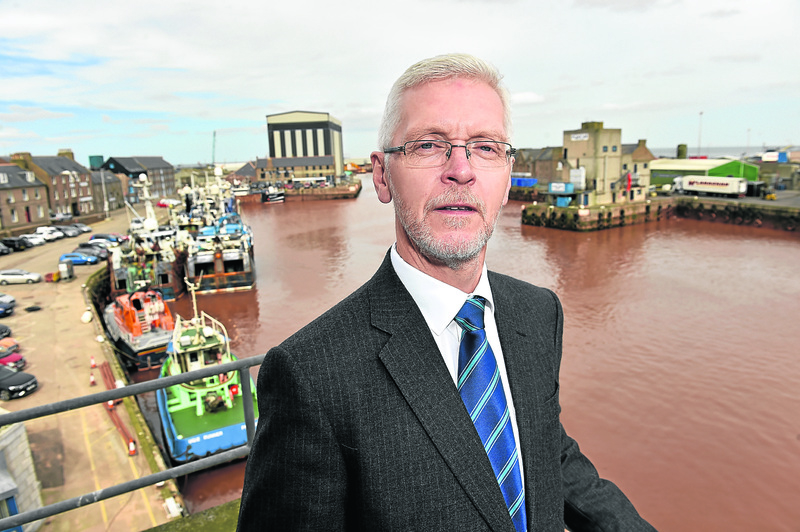 According to the boss at Peterhead’s Port Authority (PPA), the £51million harbour redevelopment which is currently on going will secure the town’s “weel-kent” industry for the next four centuries to come. And in the more near-term future it is likely to lead to the creation of up to 500 new jobs providing a much needed economic boost for the region. While Aberdeen is struggling to come to terms with the fact that one day not so far away there will be no oil left under its shores the bustling fishing town 32 miles north is planning how best to utilise the sustainable, organic and renewable resource it has just a few miles off its coast. Ian Laidlaw, chief executive at PPA, has been in post now for 15 months having taken up the job last year to see through the biggest construction project at the harbour since the construction of the ASCO base. And while other ports along the Scottish coast are concentrating on how to make the most out of the new demand for decommissioning services or how to tap into the up and coming cruising market Mr Laidlaw says they plan to stick what they know best – fishing. With record catches being landed at the market regularly and hopes that a Britain after Brexit will allow them to scoop even bigger hauls, the future looks bright for an industry which has long been the backbone of the north-east economy. “All the signs are that the fishing industry is continuing to develop and there is no reason, with good stewardship and good management, this won’t continue to grow,” he said. Mr Laidlaw said that the harbour redevelopment would not only allow them to add 80% more capacity to the fish market which is currently “bursting at the seams” but it will create more land around the bay by using the granite being dredged from the harbour. He added: “By reenergising the northern part of the harbour you then get closer to the fish processors. We want to create a processing hub around the fish market so that we maximise the return from landed white fish. Mr Laidlaw said the demand for processing was high and that the PPA already had a waiting list of interested parties keen to open a factory near the harbour. He said: “There is also demand from existing processors for more capacity. An increase in processing factories will result in more economic activity which will in turn help the town centre. “The fishing industry made the town and it will help the town survive and develop, if you can anchor the processing industry here you anchor the fleet and the jobs here creating economic benefit. Mr Laidlaw said that the harbour expansion, which is due to be complete in April on time and on budget, will add vibrancy to the town. “It is a positivity that people need. The more business we can create in the harbour; more fish, ship repairs etc it all helps to build back into the town. While, under the current plans, fishing will be the port authority’s main focus Mr Laidlaw did not shy away from other business open to the town with the creation of the new harbour and said decommissioning will also be a “huge part” of what they do. However he insisted Bloo Toon residents need not prepare to see rusty old structures lying in the bay. He added: “There is a lot of decommissioning work out there and it is not one specific activity. Decommissioning is everything from bringing back a pump that needs refurbished to bringing back a whole structure. “We are not in the market for bringing back a whole structure the way that Orkney and Shetland are looking to do that’s not the decommissioning that we are in. Would we really want rusty old structures in the middle of the bay? I don’t think so. It is not the market that the whole port sees us being in. “Bringing parts of structures, bringing small parts in, bringing equipment in for decommissioning, that’s really where the value is. “A big chunk of steel is a big chunk of steel, but if you are having to bring in something that needs worked on, that needs added to to make it a recyclable commodity that’s where I think Peterhead is. Traditionally fishing in Peterhead was an elite livelihood handed down from father to son – boats, skills, knowledge and all. But now anyone can learn to be a skipper through a range of college courses created to teach the tricks of the trade. 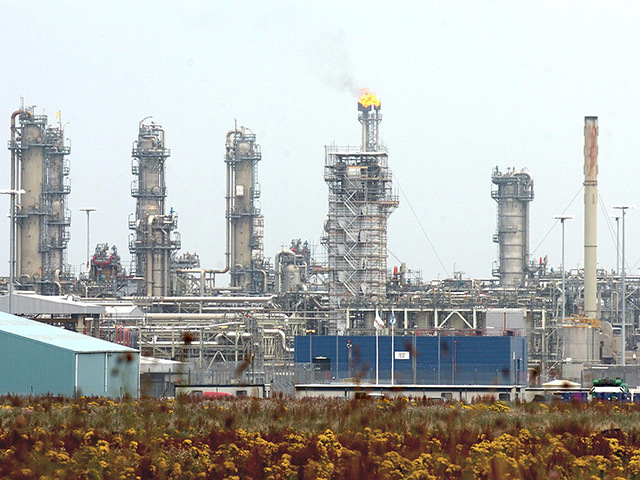 While oil and gas has provided the north-east with 50 years’of work and may continue to do so until the wells dry up,it is clear the folks of the north-east are now investing in an industry which has kept it afloat for centuries so it will continue to do so for hundreds of years to come.